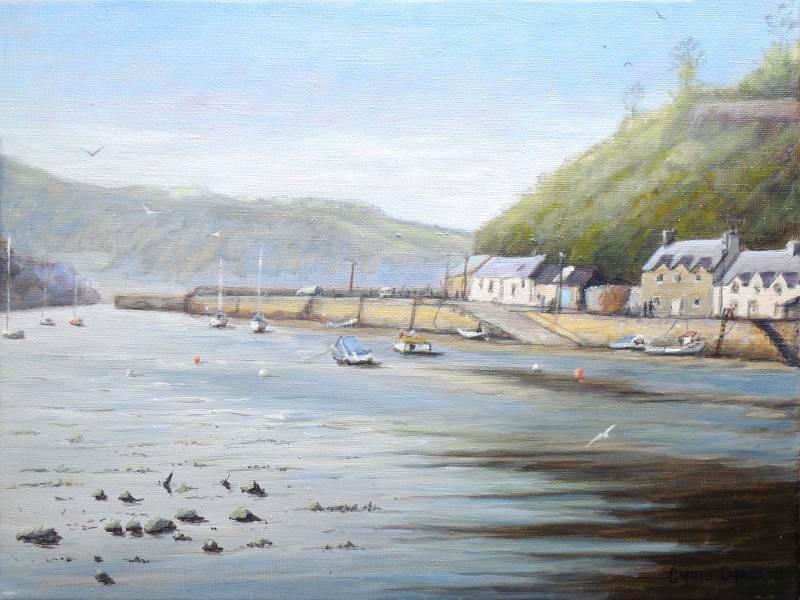 Fishguard harbour, in Pembrokeshire, is one of Wales most beautiful natural harbours. Historically a busy herring fishing port, Fishguard old town harbour is still busy with working fisherman and boats, but is also now a premier holiday destination in west Wales. 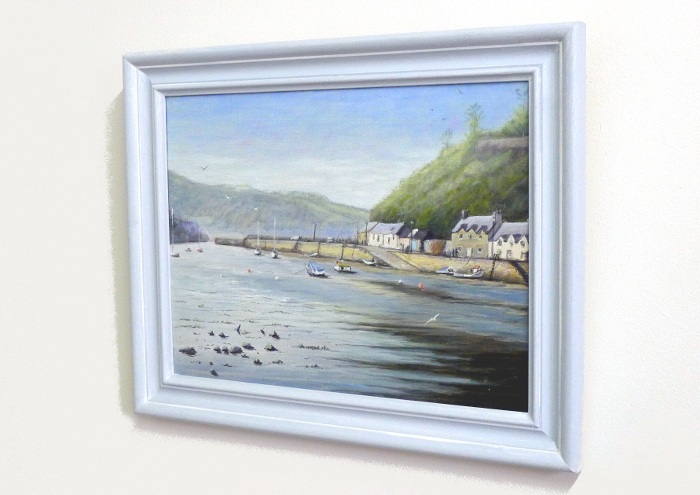 Oil on canvas: 16" by 12"
Painted on Loxley Gold stretched canvas, 16 inch x 12 inch x 1/3 inch - Frame optional extra, please contact me for price.